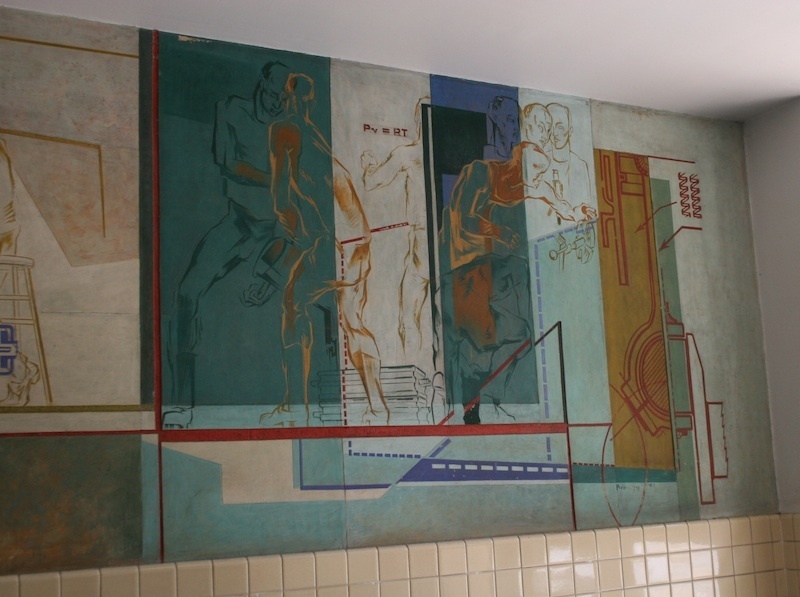 Artist Eric Bransby (1918- ) created these two murals using fresco and plaster relief. 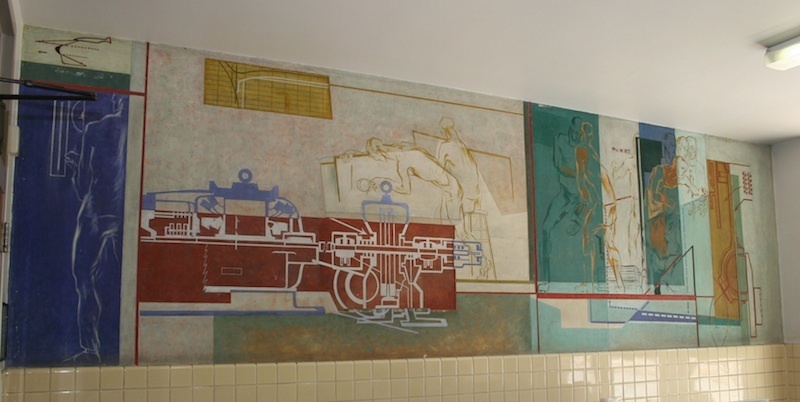 The murals, spanning 12' x 18'6" hang over the south entrance to the Mechanical Engineering building. Faculty and alumni honoring Professor Oscar A. Leutwiler gifted these pieces of art in 1953. Bargain rates and a chance to alleviate "the cold impersonal attitude that people associate with engineering" were the reasons behind the commissioning of murals for the stark entrance lobby of the new Mechanical Engineering Building. For Eric Bransby, a young art instructor scheduled to be at the university just one year longer and willing to do the work on his own time in addition to his regular duties, the mural fulfilled graduate thesis requirements for his Master of Fine Arts degree from Yale University. Norman Parker, then head of the Department of Mechanical Engineering at Illinois, noted that only half the job could be accomplished unless his colleagues acted rapidly: "If you remember the rather barren, operating room atmosphere of the main entrance, I feel sure that you will agree that we should not miss the opportunity of providing this real improvement at this really bargain cost." 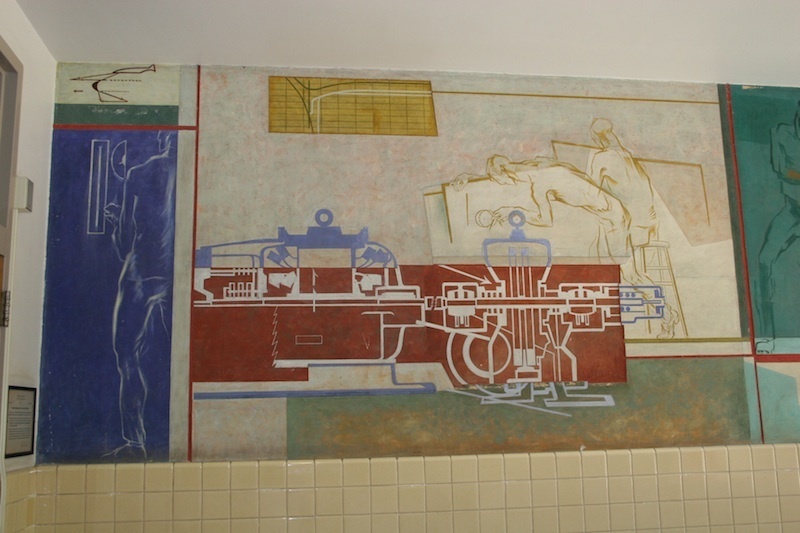 Parker cooperated with Bransby during the planning of the murals, offering categories of mechanical-engineering research that might suggest visual images. The artist said that he wanted to touch on all of the suggested main subjects yet not clutter the design with an excess of details, adding that he intended "to set down in a confined area within the mural a portrayal or interpretation of Man-the investigator and creative thinker." The compositions consist of geometric shapes and lines interspersed with easily recognizable, vaguely symbolic, semi-abstract objects and notations such as formulae, blueprints, diagrams, machinery, coils, anatomical charts, graphs, gauges, computers, and nine sketchily drawn, busy engineers. Unlike murals previously installed on campus, these were not painted in oils on canvas in the studio but were made on the site, in a modified fresco technique that involved spreading wet plaster on the wall itself, then painting directly on these freshly plastered surfaces with a water-based tempera medium. The works appear rough and densely textured, with a deliberate overlaying of dry brushstrokes to emphasize their tactility. Bransby's technique of building up layers of plaster in some places and cutting back to the mortar in others creates an intriguing ornamental relief pattern that repeats the murals' irregular finish. For all the surface interest and intense experimentation, the artist's draftsmanship lacks authority. Nonetheless, subtle combinations of greens and blues, tonalities of yellow, and textural and compositional contrasts distract attention from this weakness. 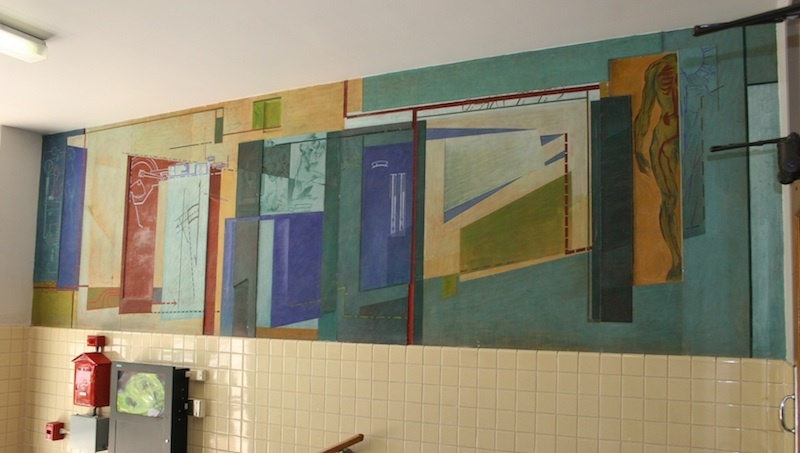 The department did not obtain great art, but the two murals do contribute favorably to alter the ambiance of a vestibule covered otherwise only with boring institutional tan tiles. Bransby, who produced a number of murals for the Works Progress Administration Federal Art Project, was a student of Thomas Hart Benton and Aetcher Martin at the Kansas City Art Institute and of Josef Albers at Yale. He later taught at the University of Missouri, Kansas City. Living now in Colorado Springs, he is still actively engaged as a muralist. 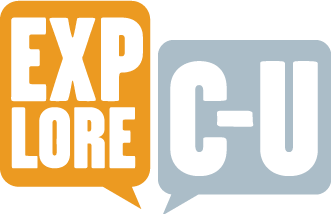 Muriel Scheinman, “Educational, Research, and Public Service Functions of the Mechanical Engineering Department, 1952-1953,” ExploreCU, accessed April 21, 2019, https://explorecu.org/items/show/6.